This week alerts appeared about the proposed sale of parts of the Mendham Collection, since thirty years on deposit at Canterbury Cathedral. The owner, the Law Society of England and Wales, describes the collection at its own website as “a unique collection of Catholic and anti-Catholic literature including manuscripts and printed books ranging from the 15th to the 19th centuries”. 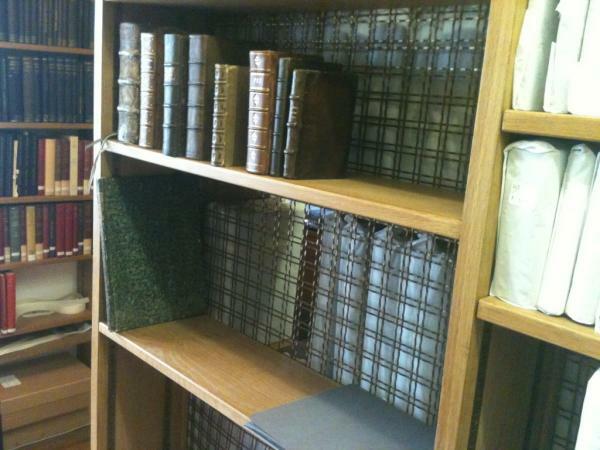 Despite protests of Canterbury Cathedral the Law Society has started removing books from Canterbury on July 18, 2012 in preparation for an auction at Sotheby’s, apparently to raise funds. Canterbury Cathedral and the University of Kent have jointly decided to involve the general public in their protest against the possible dispersal of a collection with more than 5,000 items including medieval manuscripts and early printed books. An online petition to support both institutions has been launched. To indicate the importance of this collection, let it suffice that CERL, the Consortium of European Research Libraries, has included the names of former owners of books in this collection into its provenance database. One of the painful things in this situation is the failure of the Law Society of England and Wales to acknowledge that there is now an issue. The notice I quoted here from its website is almost the only piece of information this society provides online. The Law Society indicates they have published a catalogue of the collection in 1994 which can be obtained for £ 40,-. The Law Society has substantial historic holdings in its own library on a wide variety of subjects ranging from the fourteenth century to the present. The action of the Law Society breaks unilaterally the agreement with Canterbury Cathedral to act as a custodian of the Mendham Collection until December 31, 2013. Joseph Mendham (1769-1856) was an English theologian who became active as a controversialist and historian. He was the son of a merchant, but his background did not hold him back of buying objects with a value for both cultural and church history. An article from 2008 by David J. Shaw describes the collection and the way Mendham brought it together in more detail. For legal historians Shaw points to editions of the acta and additional sources on the Council of Trent held from 1545 to 1564, and for examples twenty different editions of the Regulae of the Cancellaria Apostolica. The collection contains books from Doctors Commons, a court abolished in 1860, and the Court of Arches. Shaw gives also details on the continental provenance of many books. Mendham’s collection of 37 manuscripts mainly concerning the Council of Trent is at the Bodleian Library, Oxford. The deposit of the Mendham Collection at Canterbury, the place where Christianity in the United Kingdom started, is at an extremely apt spot. A sale of separate items, even of minor items, but surely only the rarer and more valuable items would bring the expected profits, does harm the collection and its integrity, not only now but for future researchers. Yesterday the BBC reported on the plans of the Law Society to auction books from the Mendham Collection; a video can be seen at YouTube. Until now only a few websites, including the Medievalists news blog, have covered the story about the threat of the sale. Erik Kwakkel, palaeographer at Leiden University, calls upon people to sign the petition. Supporting solicitors is the noble goal of the Law Society of England and Wales, but I can see no justification for a rash sale of valuable materials held since 1869 and the dismemberment of a collection as wideranging as the Mendham Collection. Surely other ways exist to get money, even if the Law Society says it has not taken this decision light-heartedly. Some of the items removed now may not be retrieved from Sotheby’s for a possible sale to either Canterbury Cathedral or the library of Kent University. Hopefully the petition will help reverting the plan of the Law Society of England and Wales, and help keeping the Mendham Collection intact and accessible. This entry was posted in Manuscripts and tagged Canon law, Early printed books, Legal history, United Kingdom on July 19, 2012 by rechtsgeschiedenis.